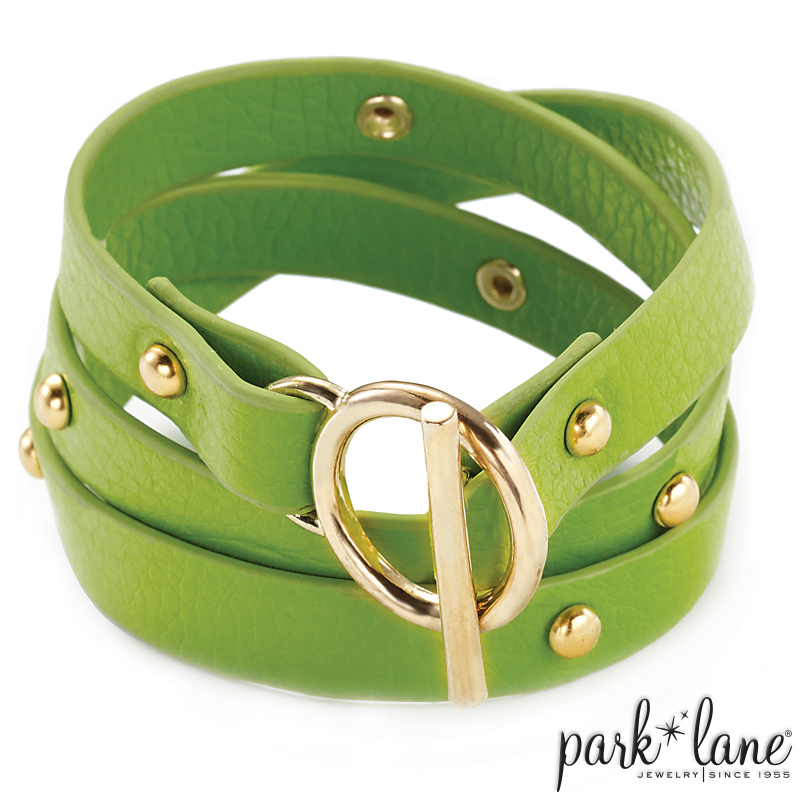 Kiwi - Wrap your wrist with this 21-inch long, green faux leather strap adorned with gold cabochon studs. Toggle closure. Strawberry - Gold cabochon studs punctuate this 21-inch long, berry-red faux leather strap wrap bracelet. Toggle closure.